Fairport Brewing Company takes great pride in offering over 30 locally-produced, award winning craft beers of the most superior grade. 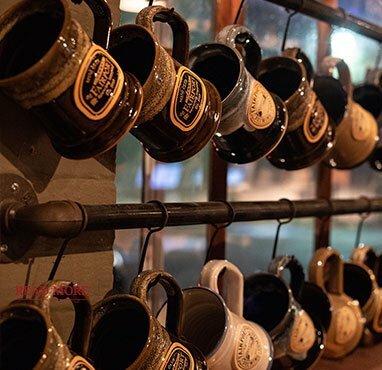 You won’t find a more cozy or inviting atmosphere, so be sure to visit the Tap Room to enjoy a pint with your friends and neighbors. 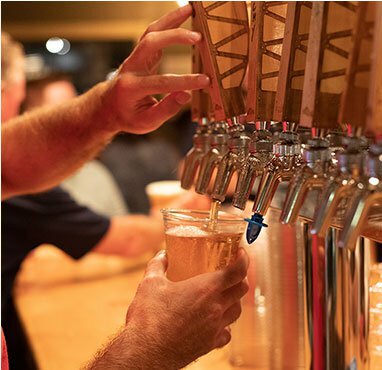 Our beers have received high honors at some of the world’s most esteemed tastings and competitions, and we’re committed to using only the freshest, locally-sourced ingredients possible. Discover what makes our artisan, hand-crafted beers so popular here in Fairport and throughout the country. Since 2013 the FBC brew crew has worked hard to make our tap rooms the center of everything we do in Fairport & Rochester, NY. You will find our first tap room in a converted historic Pure Oil Gas Station where you can meet so many great people in the Fairport community. In our new University Ave location you will find our tap room is open to our production facility. Two different cultures that share great experiences. Our Fairport Tap Room “features” daily rotation of 6 exquisite hand-crafted beers. Our University Ave has 16 taps, but either place you’ll get a wide spectrum of flavors, colors and varieties. See what’s on tap today and stop in to enjoy your favorite or discover something new! We are pleased to be able to offer a high-end, locally produced health drink as an alternative to sugar based beverages. 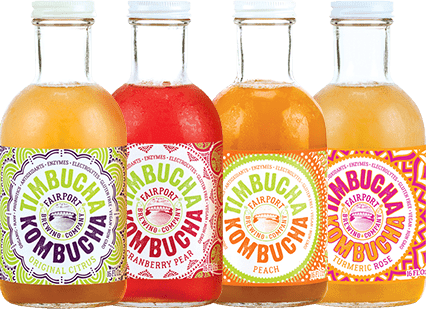 Timbucha Kombucha is made with high-quality organic teas, organic cane sugar and fluoride-free triple filtered, reversed osmosis water. As the first Farm Brewery in Monroe County NY, we’re committed to honoring the spirit of the community by using NY State sourced ingredients whenever and wherever possible. We host all sorts of events in Fairport & Rochester for small & large groups. We can accommodate up to 150 people. We’re actively engaged with our friends, fans and customers across a wide range of social media platforms. 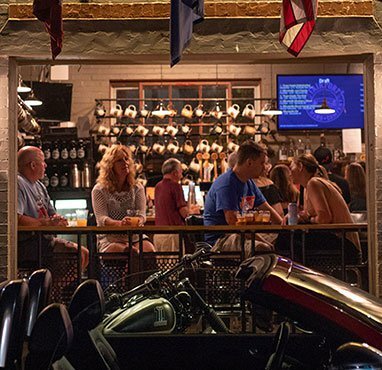 Connect with Fairport Brewing Company on Facebook, Twitter, Instagram and Untappd for the latest brewery news, local events at the Tap House, new products, specials and much more. Need something healthy and refreshing to whet your whistle in between pints? Timbucha is one of our pride and joys… a Certified Organic, 100% raw Kombucha Tea available in 6 delicious flavors and loaded with all things good. It’s vegan, non-GMO, fluoride-free and an excellent source of vitamins, minerals, enzymes, probiotics and other healthy compounds. At Fairport Brewing Company, our commitment to the local community runs deep. We’re from the area, we know the people, and we’re constantly striving to improve and expand our diverse offering of artisan handcrafted beers. Our beers are produced with ingredients sourced from right here in NY state whenever possible, and no shortcuts are taken during any part of the brewing process.